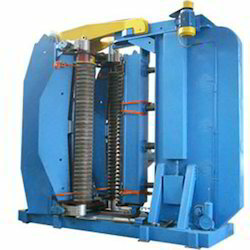 Himalaya Machinery offers Panel Bending Machines. Our reputed entity is engaged in supplying Panel Bender. Working only for Telangana region. Kindly send enquiry accordingly. We are a top-notch organization, engaged in providing Panel Bending Machines. Flexible: Wide and diversified production, from 0.4 to 3.2 mm thickness. Banking on our enriched industry experience, we are able to supply Panel Bending Machines. We are engaged in offering Evaporator Panel Bending Machine. With our expertise in domain, we are engaged in offering comprehensive range of Side Panel Bending Rolling Machine. Customers like our products for their high grade quality and effectiveness. We manufacture product from quality material which is source from reliable vendors. Moreover, our product is effective to. We are amongst the most reputed names in the industry, offering HAEUSLER AG, Switzerland - Tube Panel Bending Machine For bending of tube panels up to 3000 mm width.